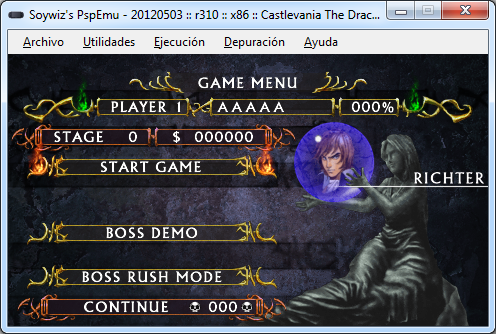 New version of the emulator. This version fixes lots of bugs and adds some news features including linux support. WIP HybridThreading. Allowing to switch between a multithreaded CPU and a more compatible CPU. This will allow to have a HUGE speedup on many games when implemented. On some cases you will be able to just double-click the executable. After a visit to the repository I saw someone placed a request into it for italian language, so...how exactly I do it for portuguese translation? It's a bit hard. You need to fork the repository and know how to use GIT. If you know, great. If you prefeer, you can edit the xml file and upload it anywhere. I've forked it. No problem about it. I have already integrated your changes and added a PT flag. Also, I have added some missing strings to that XML. Can you translate them and perform another Pull Request? Srdjan Spartacus Andric: Yeah, there are some more games running. 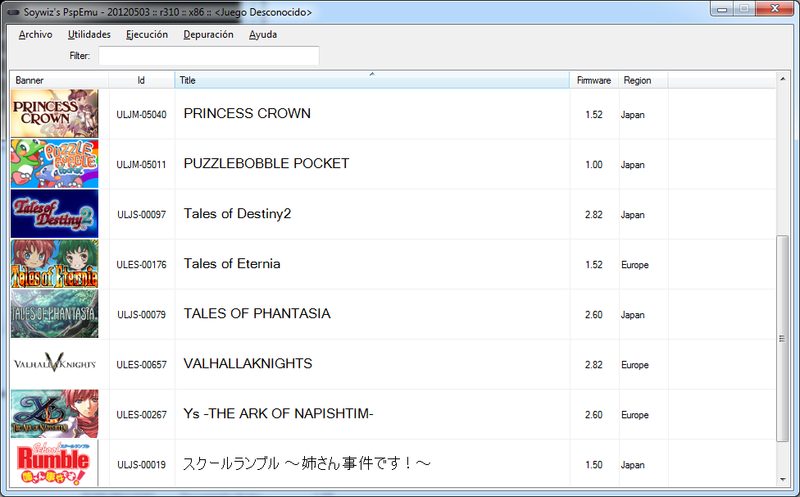 The compatibility will increase in the next release, I will put screenshots on some games I know to start. Sí, pásame screenshot. Si lo lanzas desde la consola, deberás poder ver el resultado antes de que se cierre la ventana. Pero si se puede ver texto del error, me servirá de ayuda, gracias. 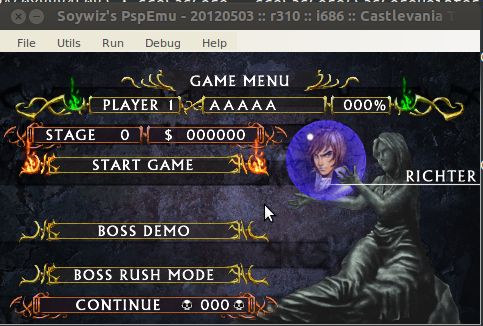 Soywiz's Psp Emulator is a psp emulator developed with a TDD approach for PC made in C# 4.5. EmuReleases.com and new WIP/GIT releases! 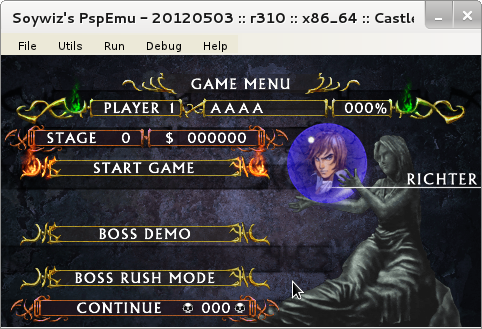 PSP Emulator. Tema Sencillo. Con la tecnología de Blogger.